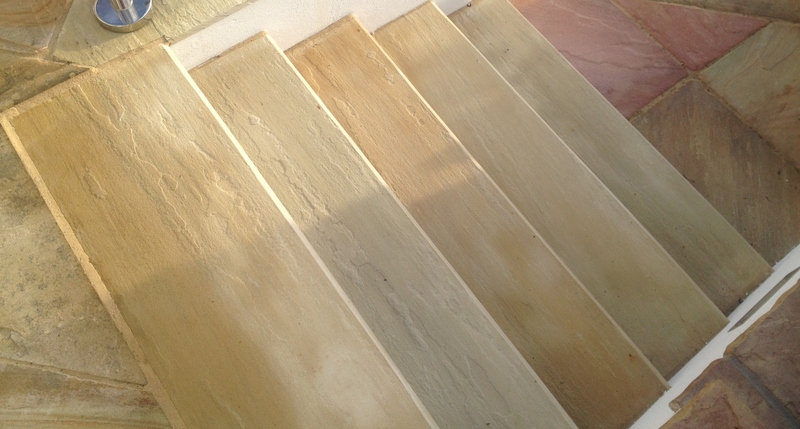 On display is our Natural Facing Mint Sandstone Bullnosed Steps that are 1200mm x 350mm. Perfect addition to follow the theme of the paving around the balcony in which Mint Tumbled Sandstone was used. The Buford Tumbled Walling in Golden Buff have been used has step risers which complement the paving perfectly.